Find hotel near Lace Conservatory In Hote .. The Lace Conservatory in Hotel du Doyen also referred to as the Dentelle de Bayeux is a museum that focuses on fabric and intricate lace work. Some of the work is also up for sale. 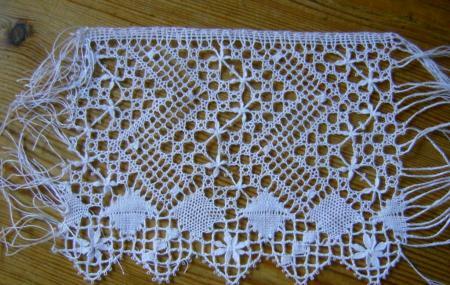 The museum also reveals relevant information about the lace work and display. Art lovers are sure to love the lace Conservatory. Only French is spoken at the museum. Timings to the museum are not available. Entry to the museum may be free. How popular is Lace Conservatory In Hotel Du Doyen? People normally club together Atelier Galerie Ludovic Grand-guillot and Bayeux Tapestry Museum while planning their visit to Lace Conservatory In Hotel Du Doyen. Magnifique exposition intitulée "Esprit créateur, le dressing des évêques revisité". On est tombé sur cette expo un peu par hasard en visitant la cathédrale de Bayeux, aux journées de patrimoine. Félicitations aux organisateurs: expo fascinante on a acheté le catalogue pour prolonger le souvenir.